Here is true prophecy in regards to Simon Roche. Why isn’t Giuliani and Jeff sessions demanding Putin hand over the twelve Russian Army offers who issued warrants. Instead Mr. 911 threatens Americans with a revolt from armed Nazi-like Militias for the Killer Jesus. Giuliani is a TERRORIST. At the same time, his Mafia-like Boss Man directs attention away from himself and his real legal problems, to South Africa, in order to stir up his Christian Nazi base, and offer them fresh targets to go into their deluded and murderous minds. Here are members of the church I belong to too. I declared myself a Nazarite in 1987 after I was driven from a Christian church for asking good questions. These are South Africans. I have been mocked and abandoned by friends and family because I chose this church. Today, they are in the news. John and Jesus were Nazarites. They launched a war against Rome and burned down the debt archives. When the Mob is out of power I offer my services as arbitrator and ambassador. I beseech the Czech Republic to get behind the Shembe Zulu Nazarites. God’s true prophets are here! I will bring the sword! Above are my people. I descend from Peter wok von Rosenberg who were good friends of John Dee. I have claimed Krumlov Castle. Go back to the past and meet valiant knights and gracious noblewomen! Every year in June, the fabulous city of Český Krumlov is transported for three days back to the Renaissance period and the rule of the last Rožmberks. The streets and squares are filled with the roar of knightly tournaments, historical crafts fairs, banquets and medieval music. The highlight of the festival is a spectacular procession in historical costumes, featuring knights on horseback and particularly many notables linked to the history of the city. Popular is the jousting tournament, recalling the past legend about cutting roses, live chess pieces on a giant chess board, festive fireworks over the city, and games of the period for children and adults. In 1556, we meet Hájek as a renowned physician accompanying Wilhelm von Rosenberg during his war campaign to Hungary. Among other things, Hájek was an excellent botanist and was very helpful during the arrangement of the Rosenberg gardens in Prague, Český Krumlov and Kratochvíle. Hájek’s book “A Treatise of Comet and Celestial Signs”, dating from 1580 and dedicated to both the brothers – Wilhelm and Peter Wok von Rosenberg – became well known. Because of his wide natural historical knowledge and honesty, Hájek was in demand for evaluating would-be court alchemists. In the enumeration of outstanding alchemists who practiced in the Rosenberg background, we cannot leave out the English alchemists Edward Kelley and John Dee. They came to Bohemia for the first time in 1584. They found accommodations in Prague at the place of Tadeáš Hájek z Hájku who let them also take their entrance examination. Later, John Dee is said to have carried out a transmutation of mercury into gold in front of Rudolf II, then he offered Rudolf his crystal ball and a magical anthracite mirror. Two years later, in June of 1586, both the Englishmen were suspected of political intrigue and had to leave the country very quickly. But shortly afterwards Wilhelm von Rosenberg allowed them to return to Bohemia, to his South Bohemian dominion. John Dee and his family dwelt in Třeboň from September 14, 1586. He enjoyed his South Bohemian asylum so much that he named his son, born there in February, Theodorus Trebonianus – Theodorus of Třeboň. According to written documents, Edward Kelley also used to visit Český Krumlov from Třeboň. The documents are silent about John Dee, but we can be sure that even he visited Český Krumlov personally during his stay in Třeboň. John Dee left Třeboň in March 1589, then later on Edward Kelley left for Prague to the laboratories of Emperor Rudolf II. 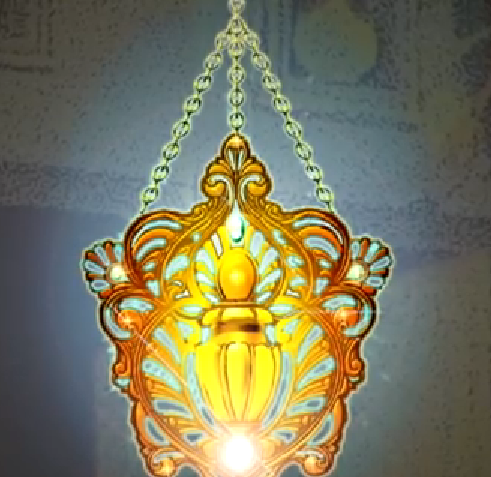 The golden lamp that Queen Helena gifted to the temple is being constructed in hope that it will hang at the entrance of the new Temple in Jerusalem. I believe this lamp represents the Shekinah that I have installed on Santa Rosa Island for safe keeping. 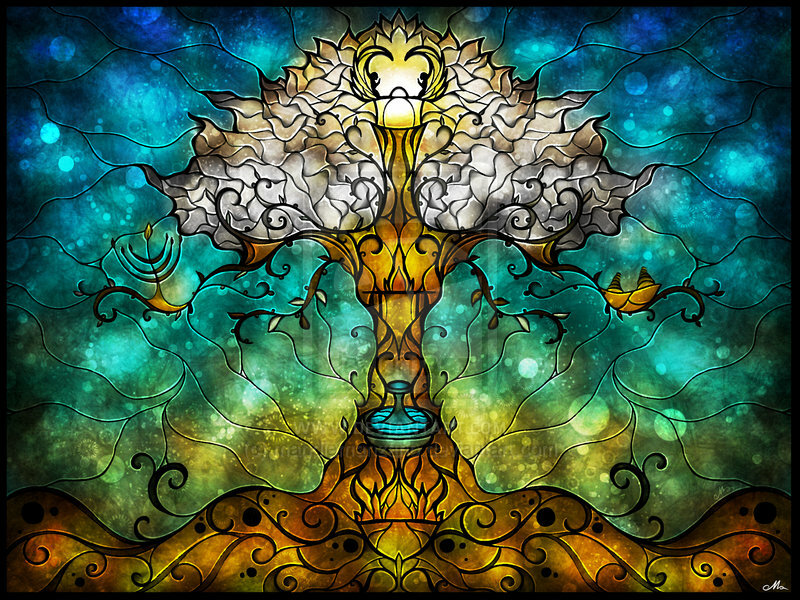 No one will enter the new temple unless they are cleansed in water by me, or, the one that comes after me. 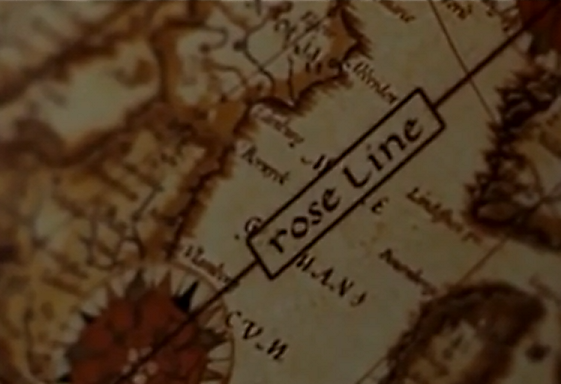 Years ago I suggested Nazarite Queen Helena of Abiabene was the Sleeping Beauty Princess, Rosamond. Her sarcophagus lies at rest under the pyramid of the Louvre, the place where Dan Brown’s Fairytale suggests Mary Magdalene, the wife of Jesus is interred. 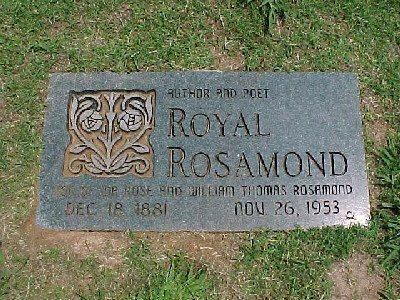 There is not name in the whole internet like that of my grandmother, Mary Magdalene Rosamond, whose granddaughter married a Benton. Jessie Benton and her husband, John Fremont, had Hungarian ex-patriots in their bodyguard, that fought against the Confederated slave masters of the new Roman empire whose false evangelical prophets have taken over Fremont’s party in order to take from the poor, the widow, and the elderly in order to give to the Imperial Billionaires of America. The Roman swine who pretend to be wolves captured the beuatiful Menorah that Queen Helena gave as a gift to the Jewish people. My story ‘Capturing Beauty’ will bring the Light of God – home! I will overcome the world! Judaism in Adiabene survived the death of Izates and Helena. History indicates that the Jewish religion continued to play a part in the kingdom of Adiabene; non-royal Adiabenians converted. “The names of the Adiabenite [sic] Jews Jacob Hadyaba and Zuga (Zuwa) of Hadyab,”33 indicate a non-Hebrew origin and possible conversion to Judaism. 1. Now the warlike men that were in the city, and the multitude of the seditious that were with Simon, were ten thousand, besides the Idumeans. Those ten thousand had fifty commanders, over whom this Simon was supreme. The Idumeans that paid him homage were five thousand, and had eight commanders, among whom those of the greatest fame were Jacob, the son of Sosas, and Simon, the son of Cathlas. John, who had seized upon the temple, had six thousand armed men, under twenty commanders; the zealots also that had come over to him, and left off their opposition, were two thousand four hundred, and had the same commander they had formerly, Eleazar, together with Simon, the son of Arinus. Now, while these factions fought one against another, the people were their prey of both sides, as we have said already; and that part of the people who would not join with them in their wicked practices, were plundered by both factions. Simon held the upper city, and the great walls as far as Cedron, and as much of the old wall as bent from Siloam to the east, and which went down to the palace of Monobazus, who was king of the Adiabeni, beyond Euphrates; he also held the fountain, and the Acra, which was no other than the lower city; he also held all that reached to the palace of queen Helena, the mother of Monobazus; but John held the temple, and the parts thereto adjoining, for a great way, as also Ophla, and the valley called “Valley of Cedron;” and when the parts that were interposed between their possessions were burnt by them, they left a space wherein they might fight with each other; for this internal sedition did not cease, even when the Romans were encamped near their very walls. But although they had grown wiser at the first onset the Romans made upon them, this lasted but for a while; for they returned to their former madness, and separated one from another, and fought it out, and did everything that the besiegers could desire them to do; for they never suffered anything that was worse from the Romans than they made each other suffer ; nor was there any misery endured by the city after these men’s actions that could be esteemed new. But it was most of all unhappy before it was overthrown, while those that took it did it a greater kindness; for I venture to affirm, that the sedition destroyed the city, and the Romans destroyed the sedition, which it was a much harder thing to do that to destroy the walls; so that we may justly ascribe our misfortunes to our own people , and the just vengeance taken on them by the Romans; as to which matter let every one determine by the actions on both sides. 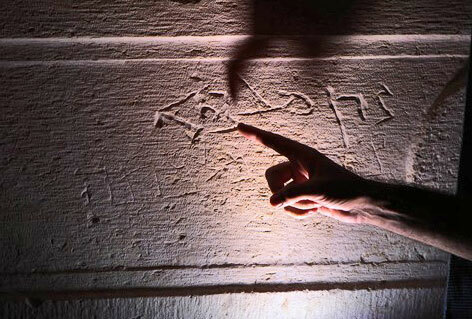 News of the discovery of human bones, and from a Jewish queen moreover, inflamed the Jewish community in Jerusalem. The community petitioned prominent figures such as Moses Montefiore and the Rothschild family, and lobbied the Ottoman authorities. 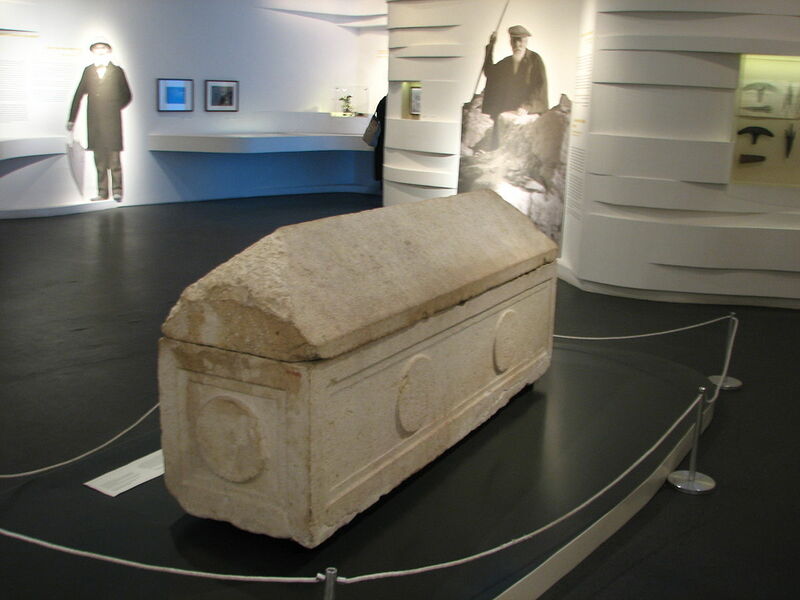 De Saulcy was forced to suspend his excavation, but not before managing to send the sarcophagus and other findings to France. Since then the queen’s coffin has been in the Louvre in Paris. According to Maoz Lin, the museum displayed it for a while and then put it in storage. It was brought out again in 1982, for an exhibition marking the centenary of de Saulcy’s death, after which it went back into storage. The Israel Museum’s director, James Snyder, and the French ambassador, Bigot, were also involved in the negotiations. Without their intervention, Maoz Lin notes, the royal coffin might never have left Paris. Snyder says that the French ambassador aided in the operation enthusiastically, and both Choukroun and Bigot stress the good will their country displayed in the matter. What interests me in these sarcophagi is their decorations. They all display rosettes, resembling flowers. 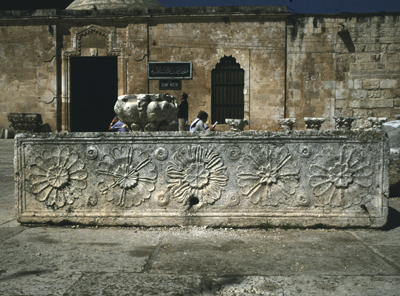 These motifs are well known from the Temple Mount Excavations, where many such fragments were found. None of these fragments were large enough to inform us reliably as to the style of Temple Mount decoration. In order to make reconstruction drawings, we had to turn to the funerary monuments and sarcophagi of the Second Temple period which reflected the architecture on the mount itself. The variation in motifs was amazing. 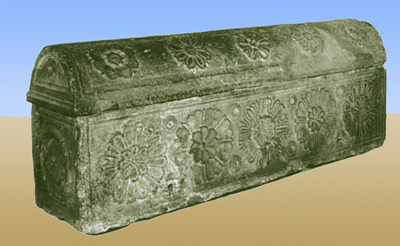 For instance none of the rosettes on the sarcophagi and tomb friezes was the same as the next. The sarcophagus of this Mesopotamian queen with its arrangements of rosettes resembling a frieze is invaluable as an indication of the splendour and beautiful architecture of Herod’s Temple and the buildings of the Temple Mount. Nearly 3,000 km [2,000 miles] from Judea, east of the Tigris River, lies the ancient land of Adiabene — nowadays more or less Iraqi Kurdistan (upper middle of map). In Helena’s time, during the early first century CE, Adiabene was a client kingdom of the Parthians. 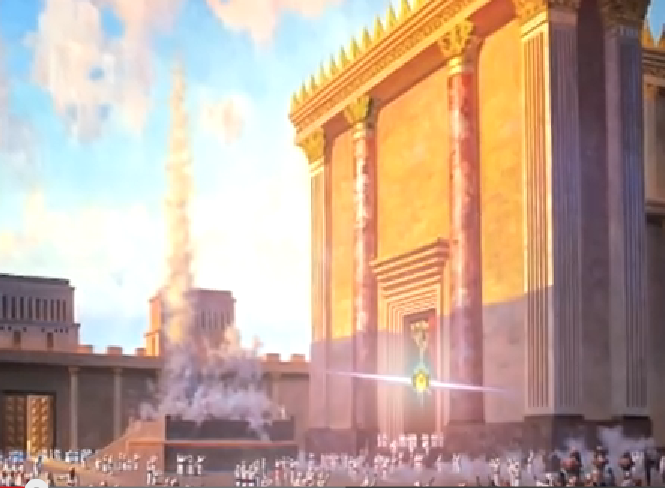 According to the Jewish historian, Josephus,** it was also where the remains of Noah’s ark were still visible and could be shown to anyone who was interested in such things. Queen Helena lived happily with her husband, Monobaz, in Adiabene. Occasionally, Jewish merchants used to visit Adiabene on business. Through them Helena became acquainted with, and interested in, the Jewish religion. As time went on, she became so deeply attracted by the high moral standard of Judaism that she engaged a teacher for herself to learn all she could about it. The royal house of Adiabene helped the Jewish state in many ways. Many a time they sent large sums of money to Jerusalem, either to provide for the needs of the Beit Hamikdash or to help the poor. Once, a very serious famine ravished the Jewish land, and soon there was no money left to buy food from other countries. Queen Helena and her son used a large portion of their own state treasury to buy grain in Alexandria and dried fruits in Cyprus, and have all this lifesaving food shipped to Jerusalem. Such was the piety and charitableness of Queen Helena and her sons. In the Mishnah we are told of many gifts which Queen Helena and her son gave to the Beit Hamikdash, for which they are remembered for all time. For instance, she had a golden candelabra placed above the entrance to the Beit Hamikdash, which not only had its own light, but early in the morning it reflected the sun’s first rays. Thus, when the priests wanted to know whether it was already time to say the Shema in the morning, they had only to look at Queen Helena’s candelabra. Another gift of Queen Helena was a tablet of gold, on which she had a certain portion of the Torah inscribed, which was of special interest to women. In addition, King Monobaz and his mother donated golden handles to be attached to all vessels used in the Beit Hamikdash on Yom Kippur. Once, on a visit to Jerusalem, Queen Helena built a beautiful mausoleum where she and her sons were to be buried after their death. Its door had an ingenious mechanism that opened it once a year at a certain hour and closed itself again, to stay closed for another twelve months. 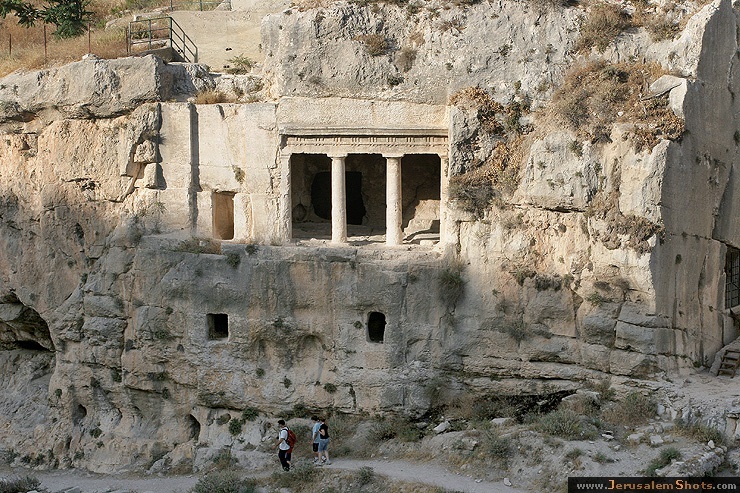 Even now, parts of this beautiful tomb, called the Tombs of the Kings, are still left. Before her death, Queen Helena traveled to Jerusalem to spend there the last years of her life in prayer and good deeds. According to tradition, she lived as a nezirah (nazirite) for fourteen years, to keep a vow she had made for her son and for herself. 1 Response to Zulu Nazarites Rebuild Temple? 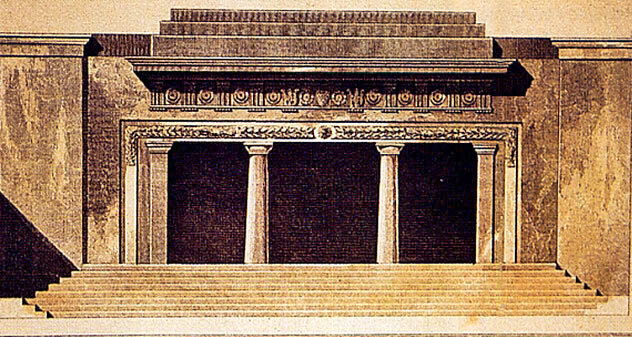 If elected to the City Council of Springfield Oregon, I will help build the Third Temple.